Ljubljana is the colourful capital of Slovenia. With over 270 000 residents, it is a wonderful location for a fun-filled travelling experience. Ljubljana offers you a variety of vibrant events, historic architecture, and a size that makes exploring the city a pleasure. 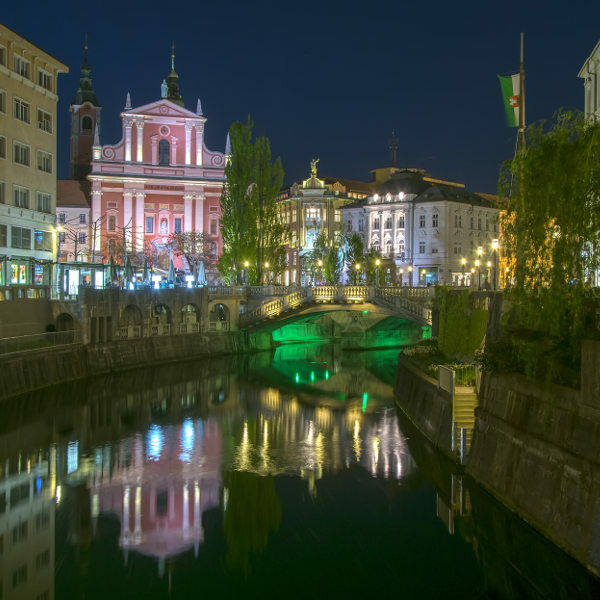 Its top attractions include the Triple Bridge, Tivoli City Park, and Ljubljana Cathedral. Get ready to explore the capital in Central Slovenia, because cheap flights to Ljubljana are now available for a short time! A 25-minute drive or a scenic 45-minute bus ride away is this destination’s international airport. The architecture around Ljubljana gives you a sense of stepping back in time, with structures such as the Triple Bridge and Ljubljana Castle. With its nightlife, festivals and events, including the Christmas Market and Festive Lights, Ljubljana is the place to be for an exciting travelling experience in Slovenia. 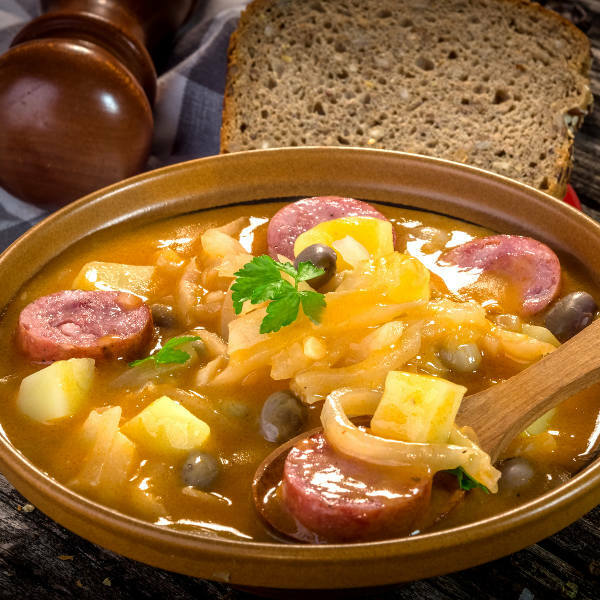 Make sure to sample the local delicacies (such as baked octopus and the Carniolan sausage) at Ljubljana’s popular eateries, including Manna Restaurant and Klobasarna. 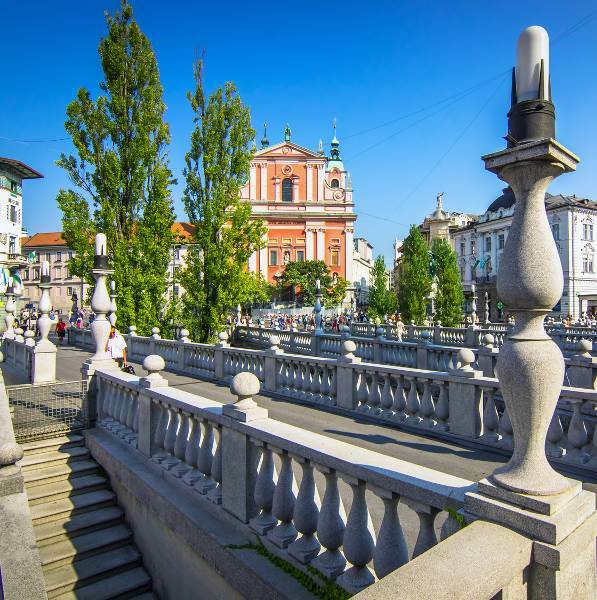 With all the events that take place in the summer (especially during July and August), hotel rooms and travel seats become scarce, and only careful planning and advance bookings will ensure you get to enjoy Ljubljana when the weather is at its best. If you’d rather avoid the crowds, but still catch some of the fun, the best time to visit is during September. The winter period (November – March) brings the snow and ice, and with a variety of ski resorts near the capital, it is another wonderful period to visit Ljubljana. If you visit during this season, make sure to dress warmly. The capital of Slovenia, Ljubljana is a lovely tourist destination with its green spaces, including Tivoli Park, divided by the Ljubljanica River. A fact that enhances this already alluring city is its small size, which makes exploring Ljubljana a pleasure. During the spring and summer, enjoy a range of events, such as the Exodos Festival of Contemporary Performing Arts and the Ljubljana Summer Festival. In the winter, there is the Ljubljana International Film Festival and the Christmas Market and Festive Lights. Other top attractions of the Slovenian capital include the historical structures such as the Triple Bridge, and, of course, the city’s nightlife, which brings this destination to life at night with a spectrum of colourful lights. Compare several airlines and book your cheap flights to Ljubljana online at Travelstart! The Centers for Disease Control recommend that you visit your doctor four to six weeks before departure to receive all the routine vaccinations. Depending on what you do while in Ljubljana, you may also need vaccinations for diseases such as hepatitis A, hepatitis B, and rabies. Ljubljana enjoys a high level of safety, however, be cautious in the evening. Beware of crowded bars, where fights may break out.